Penguins are fascinating creatures and have gained more attention lately from films like "March of the Penguins" and "Happy Feet." Able to survive in extreme conditions, the 16 living species of penguins are found in the wild in the cooler parts of the Southern Hemisphere. 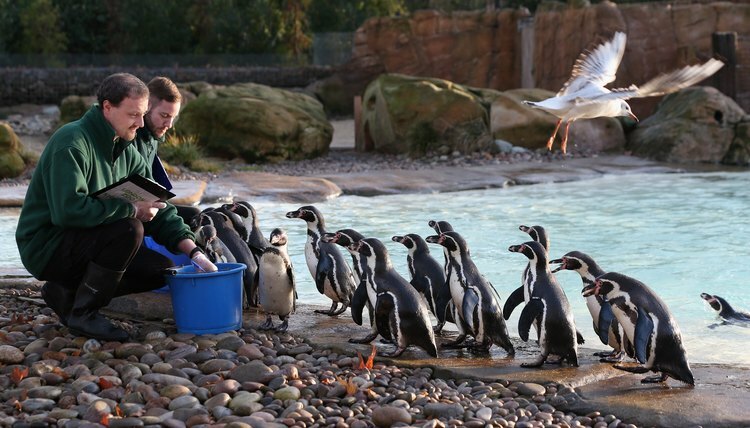 If you'd like to make a career out of working with penguins, several options are open to you. People who want to work with exotic animals like penguins often consider becoming zookeepers. Many children dream of being zookeepers when they grow up, and it is an exciting profession. However, being a zookeeper involves a lot of hard work. Keepers must see to the feeding and habitat maintenance of all animals, and be observant enough to notice when they are hurt or sick. They must also observe and document any changes in behavior and work closely with veterinarians and other staff to provide the best care for all of the animals. A zoo veterinarian works with all zoo animals, including penguins, to keep them in good health. The zoo vet is responsible for preventative care and examinations, as well as treating injuries and illnesses. 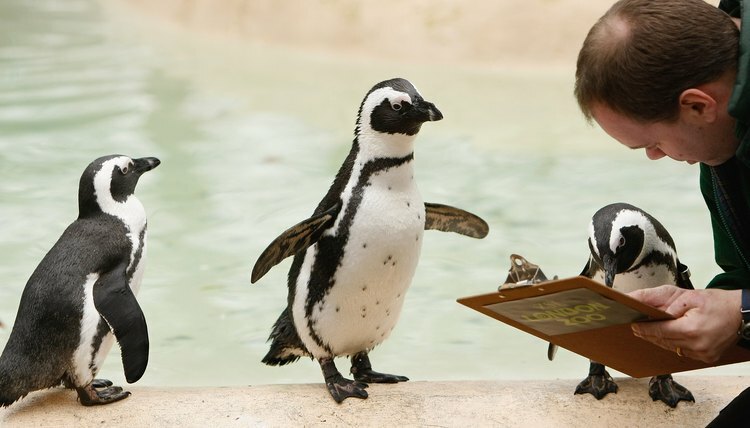 Working as a zoo vet allows you to work closely with penguins and other interesting animals, but the required education also involves a large time and money investment. Marine biologists study the seas of the world, including the animals and plants that live in them. 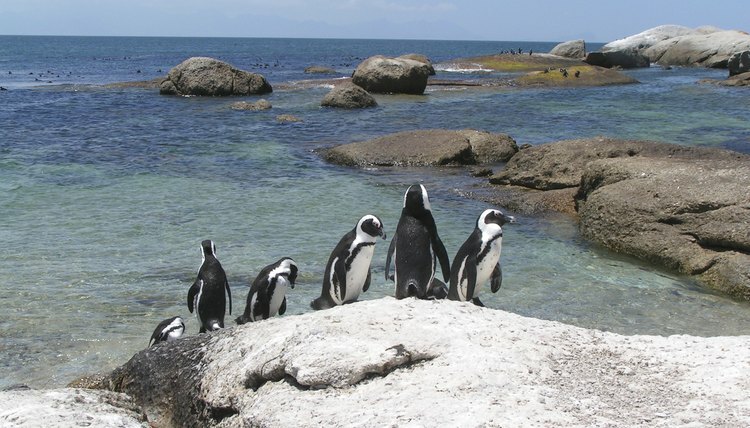 If you'd like to study penguins in their natural habitats, marine biology might be the career path for you. Marine biologists focus on researching animal habitats and behaviors in the wild, and are also involved in conservation efforts and awareness. Many zoos, aquariums and research labs offer volunteer opportunities. 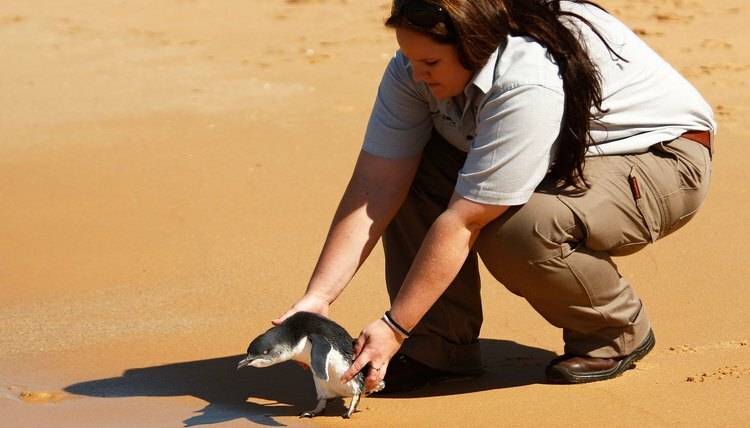 If you want to work with penguins but are unsure which field you'd like to specialize in, you can learn about each organization from inside by volunteering. If you are a student, your school or university can provide you with leads. You can also check with the facilities themselves; their websites often have volunteer listings posted. Does It Take a Master's Degree to Be an Equine Nutritionist? Sawyer, Erin. "Jobs Interacting With Penguins." , https://careertrend.com/info-10067059-jobs-interacting-penguins.html. 14 December 2018.